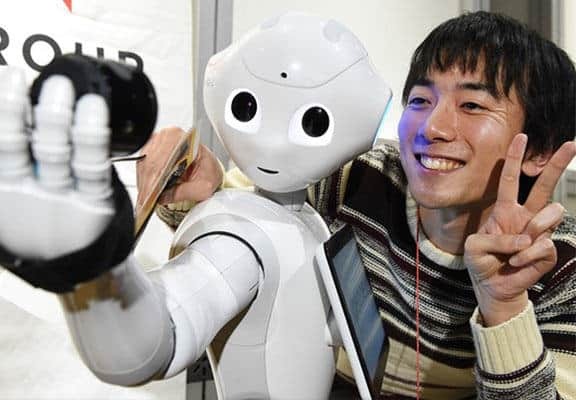 Japan’s SoftBank Robotics Corporation has created a new artificial companion designed to recognize, react to, and display human emotions. As a 90’s child this is like an episode straight out of the Jetsons but Pepper is real, with the first 1000 units selling out in under a minute and Softbank barely able to keep up to demand with 1000 a month. Skynet is real boys and girls and its cute and has ‘feelings’. Japan is the land of miniature robot pets, computer generated singers, smart vending machines and super robot wars! Kirk is a proud Jamaican who started Jamaipanese.com in February 2006 and now lives in rural Japan. He enjoys sharing his experiences learning about Japan, personal milestones in life as well as interests such as photography, gaming and travelling.